New. Intended for a juvenile audience. Good. No Jacket. Folio, hardcover, good in white pictorial boards. No Batman miniature figurine. 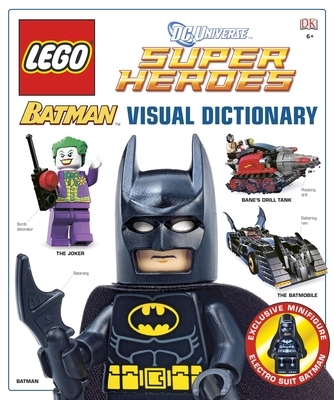 elucidates, illuminates, and excites even the most discerning LEGO Celebrate the action-packed world of Batman with all the vehicles, weapons, locations, gadgets and minifigures. New. This item cannot be shipped Internationally; 4to 11"-13" tall; 96 pages.